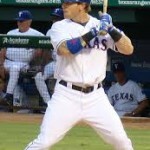 Open Letter to Josh Hamilton – Somewhere in Houston | Paciorek's Principle of Perfect Practice - Simplicity! 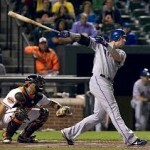 The preceding paragraph is an excerpt from my Book, The Principle of Baseball, and All There is to Know about Hitting. My frustration (as well as that of all ardent fans) with the apparent lack of competence that has infiltrated the mind and batting technique of one of the most talented “Baseball-Players” in the Baseball community has prompted me to write this letter in hopes of somehow reaching the eyes of either this player, his agent (or family ), or the highest echelons of the organization whom this player represents. 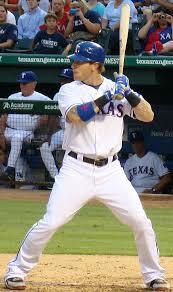 “Is the act of hitting a baseball efficiently an “Art’ or a ‘Science’, neither, or both? Those who demonstrate a high degree of talent in any of the various art forms could easily be described as ‘artists’. There is adequate evidence to indicate that many or most good artists (of which Batters are included) have a ‘natural’ propensity toward the artisanship in which they are engaged. But their optimal level of proficiency is most often derived from the degree to which they accumulate enhanced understanding by means of scientific examination of all aspects of their chosen profession. Therefore, hitting a baseball most effectively would have to be construed as both an ‘Art and a Science’. 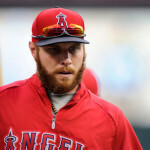 Josh Hamilton has reached a point in his illustrious career where intelligent pitchers have seen him enough to know his “margins for error” and can successfully circumvent his “natural-artistic” strong-points to wreak havoc on his phenomenal exhibition. Although he is each still physically capable of demonstrating his former prowess (with the correct mental regimine), he must now make certain adaptations of which neither he nor his “instructional-gurus” seem to be aware or willing to apply. At the completion of his current shoulder and drug rehabilitation program, I would like to offer my service in the form of a simple consultation. He can contact me personally, or simply refer to my Book and website, www.johnpaciorek.com. Being a former professional ball-player I am aware of the singular reluctance of a “transforming super-star” to heed the advice of anyone outside his own sphere of influence. However, a meeting “of the minds” might have the effect of reaffirming a sense of confidence that seems momentarily lost to him who would regain his former high status, physically, mentally, spiritually, emotionally, and professionally. When scientific principles are universally understood, every true sports enthusiast will be his own diagnostician, and Truth will be the universal panacea. Principles are not rigid, oppressive rules designed to limit or restrict individual creativity or expression, but rather to enhance them. They are foundational cornerstones on which to construct exemplary forms and visible expressions of excellence. To do the best you can do is not only determined by the enthusiasm and natural ability you seem to have been afforded, but also by taking advantage of the natural laws which govern the dynamics involved in the activities with which you find yourself engaged. To “believe assuredly” is to have absolute faith in a proven principle. On the human level it’s hard to find an “Absolute” belief for which to have absolute-faith. The True consciousness, in all of us, can discern the correct path to take, the right doctrine to espouse, and the most plausibly scientific way to hit a baseball. 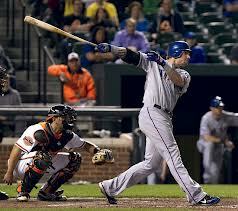 The scientific principle of hitting a baseball is not going to secure a successful hitting application. But a ball player with faith in the “perfect principle”, and the patience and courage to live by, and practice it unflinchingly, has the best chance to accomplish his goal of being a “Prime Major-League Hitter” and a positive contributor to himself, his family, and society. The rules are simple and orderly. To abide by them and commit them to proper interpretation are what seem to be difficult, especially to those who prefer to act on their own fallible human instincts instead of a sound basic principle. A prominent, innovative 19th century pragmatist made this statement for our consideration, “The higher false knowledge builds on the basis of evidence obtained from the physical senses, the more confusion ensues and the more certain is the downfall of its structure”. There are many ball players who could benefit from this practical instruction, but hopefully this chosen one would reap his just rewards as soon as he makes my acquaintance. Here’s hoping for a quick return to normalcy for one of my favorite players and one of my favorite Teams.